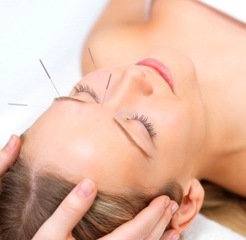 Cosmetic acupuncture or facial rejuvenation acupuncture is touted as the ultimate, non-surgical facelift. The procedure not only reduces signs of aging, but also bolsters the whole body’s wellbeing. Wrinkles are caused by a loss of energy and balance. The proper treatment increases over all energy and corrects the energy balance by tonifying or sedating the proper points as determined by the examination of the location and types of wrinkles that a patient has. What acupuncture does is find the energy imbalances and restore balance. Many times with treatment we get a reduction in the depth of lines and wrinkles. And many times a tightening and lifting of facial features resulting in a younger appearance without under going surgery.